Challenge your friends to a match in the wrecking ball. You swing the large center ball and try to knock your opponent off the pedestal, it's fun for all that lasts all day. 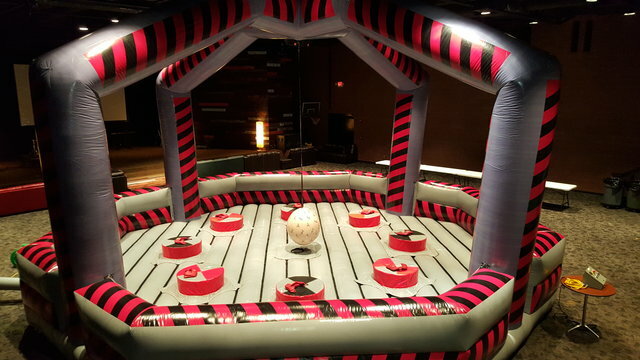 So rent the wrecking ball for your next school field day or event.